Tech N9ne LIVE In Missouri And Kansas This Fall! 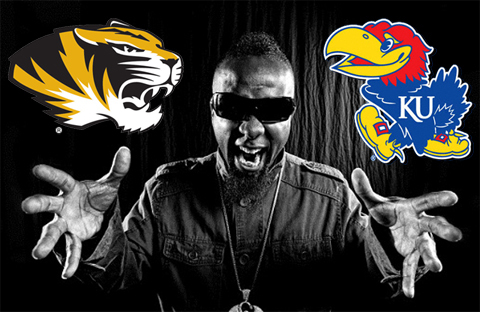 This October, Tech N9ne returns to the middle of the land for three big performances that will no doubt have Mizzou fans and KU fans rallying behind the spirit of competition as Strange Music aims to find out – where are the biggest Technicians at?! As one of the most heated rivalries in sports history, fans from both sides know what’s on the line anytime KU and MU clash. This time though, it’s all fun and celebration because no matter what, everyone gets to party it up with Tech N9ne and Strange Music. So, who will show out the most? Will the Jayhawk nation pack the house or will Mizzou give it up for the king? CLICK HERE FOR TICKETS AND VIP EXPERIENCE PASSES.